Here is a great recipe for banana bread that gets raves every time I make if for some A Chef of Your Own vacationing guests. Combine flour, baking powder, baking soda and salt in a bowl. Set aside. Mash bananas. Add sugar, vanilla, oil and sour cream. Mix well. Add eggs and thoroughly mix. Add dry ingredients to wet and mix well so there are no dry spots or lumps. 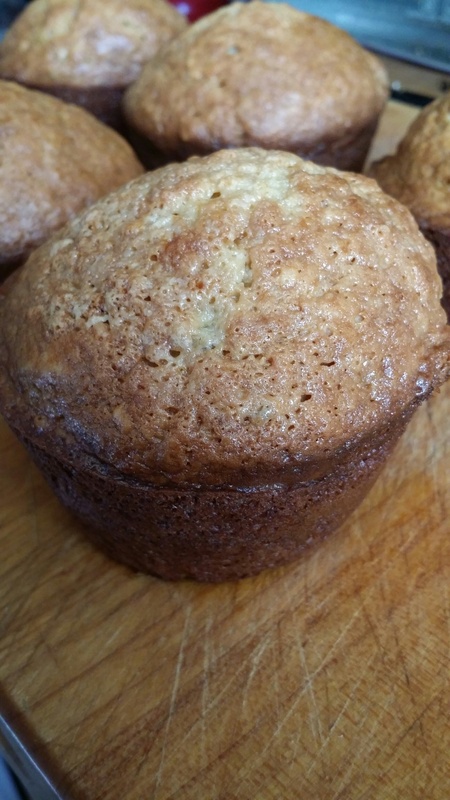 Pour into two well greased bread pans or 12 mega muffin cups. Place in preheated oven and bake bread 45-55 minutes and muffins about 30 minutes until tester comes out clean.